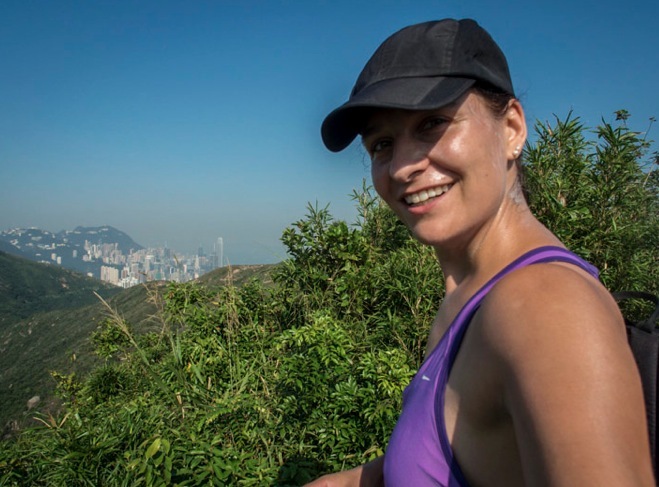 I’ve been thinking about joining one of the hiking events in Hong Kong for some time now – it would be interesting to see how I fare in a competitive environment, with the extra adrenaline but also the hundreds of other (much better) hikers and trail runners. It could either be very motivating or exactly the opposite and highly demotivating. Moontrekker would have been a nice option – the shorter route could have been feasible. But I’ve not trained well enough to hike in about three weeks’ time (the night hike is on October 25) and I’m also planning to support it as a volunteer, so I would need my own Doppelgaenger to make this happen! However, I’m lucky. My friends were also thinking of trying to participate in a hike – and so we agreed to do the Green Power Hike on Saturday January 25, 2014. We’ve not signed up yet (registrations open in mid-October) but we did our fest practice hike. 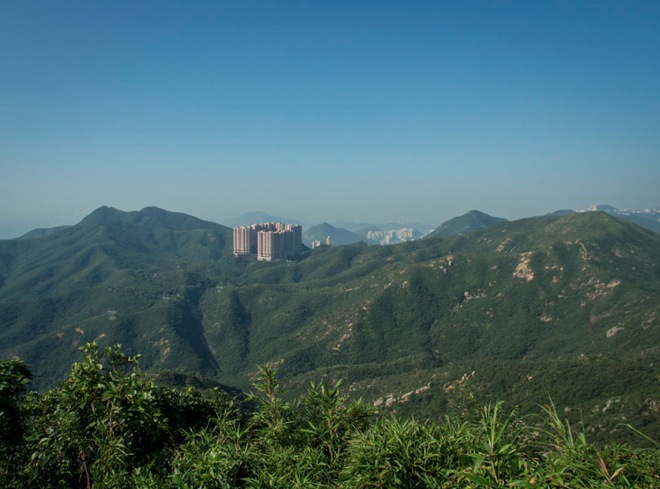 We started at Parkview, the pink ugly building at the end of Wong Nai Chung Gap Road, and hiked all the way until we reached Big Wave Bay (the end of the Hong Kong Trail). I’ve done all those stages before, but individually – not together as part of a 25km hike. 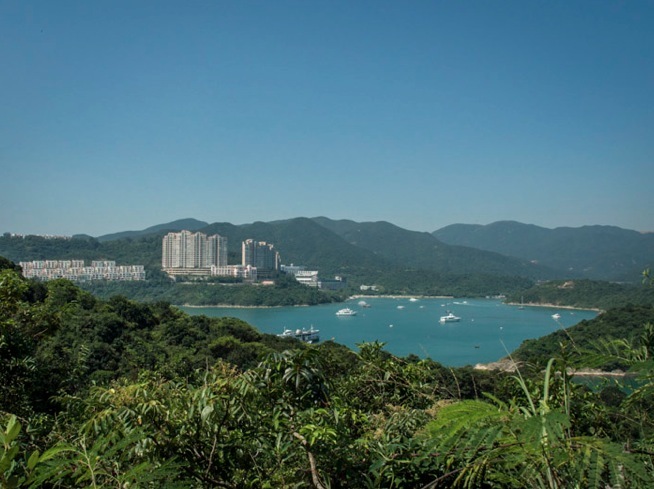 The first part, Hong Kong Trail Stage 5, from Parkview to Windy Gap, is actually not long – just about 4km. But it is up all the way to Jardine’s Lookout, down to the Quarry and then back up to Mount Butler. We’ve done this hike almost two years ago and it took us 90 minutes and a lot of sweat back then. Last Sunday, we did the same hike in just about an hour – and we even stopped for a short photo break on top of Mount Butler. It was an amazing day, lots of blue sky, clear views and not too humid or hot. Perfect for a practice hike. 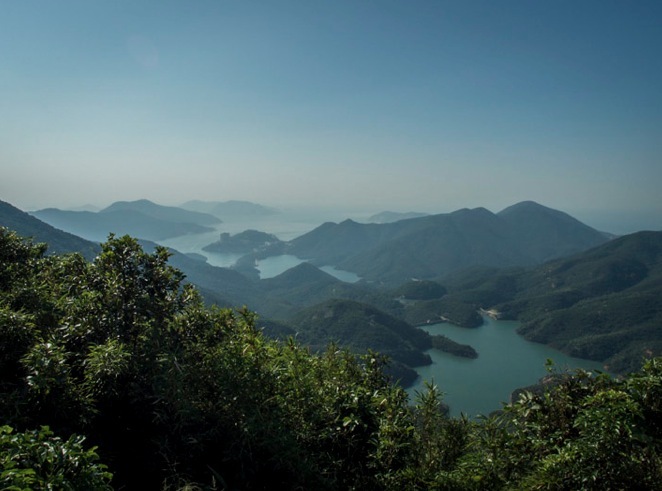 Then we walked walked all the way down to the Tai Tam Reservoir and across it – that’s an easy part of the hike, it’s all downhill and you just walk on the road for most of the time, until you hit a small path that connects the Tai Tam Reservoir to the Tai Tam Harbour. 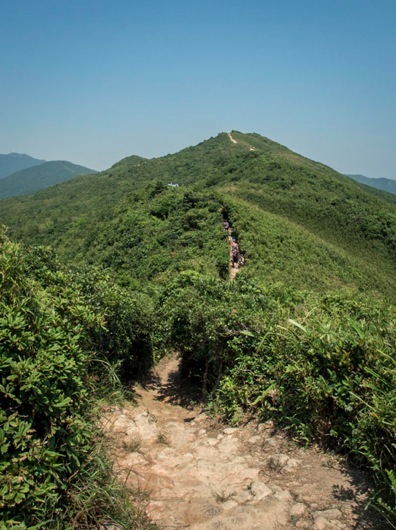 That was the Hong Kong Trail Stage 6, again a hike we’ve done many many many months before. 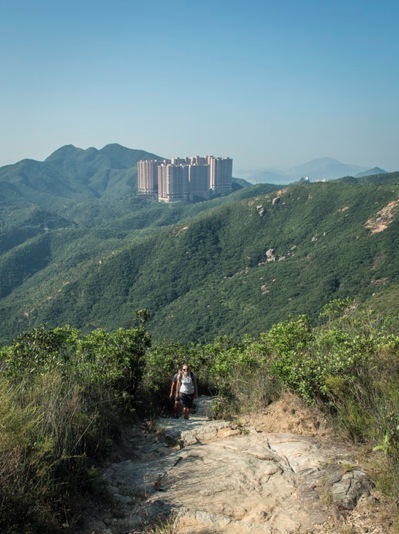 The seventh stage of the Hong Kong Trail is equally easy – it is just long with a 7.5km hike along a water catchment area. It seems to be going forever and ever. We walked this part but maybe next time we’ll run it? However, the nice view across the Harbour did make up for the boring part of this hike. 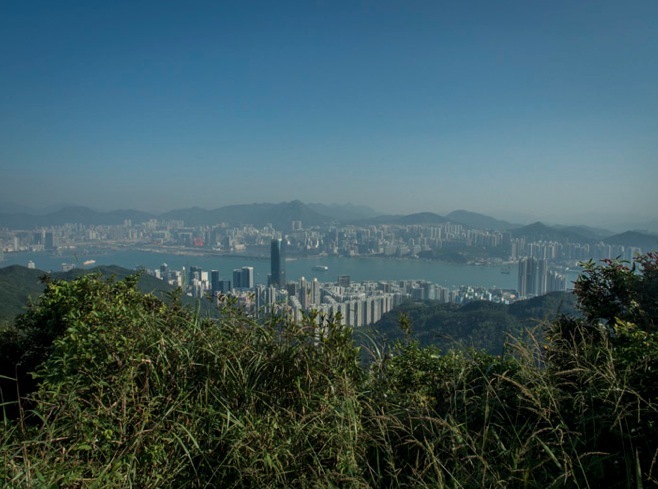 Finally we reached the last part, Hong Kong Trail Stage 8, which is the famous Dragon’s Back hike. 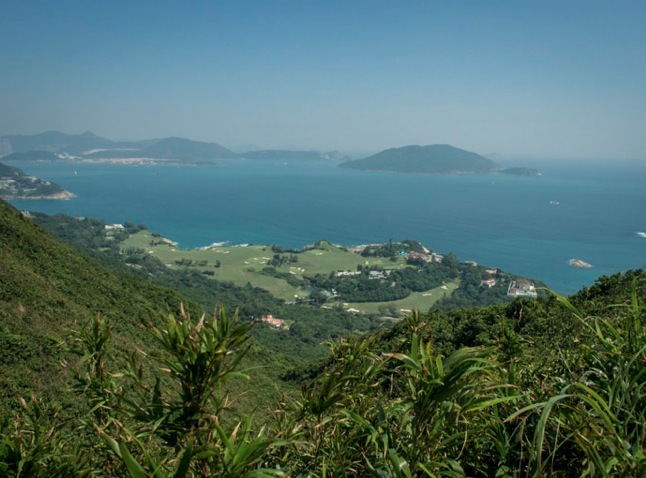 It is a beautiful hike, all along the mountain ridge from Shek O to Big Wave Bay. 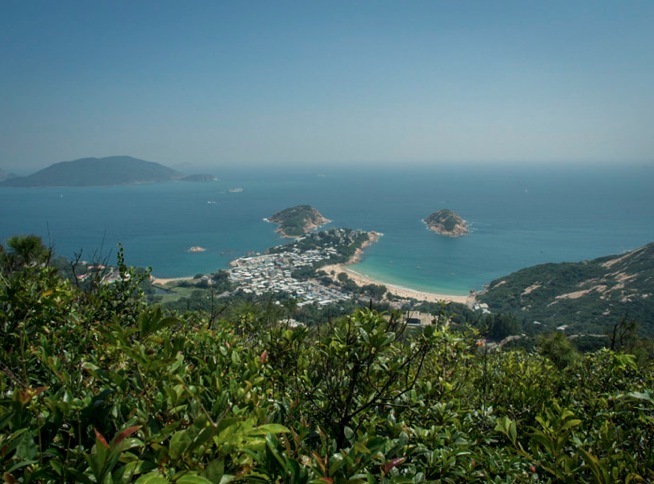 The views are always amazing and it is not very difficult to hike on the back of the dragon – in fact, it is a little too easy and it has become a very popular weekend hike. The back of the dragon is packed with people! Overall, we took 5 hours for the 25km hike (my Runkeeper app does tell me the hike is only 23Km so not sure what happens on the actual race day, if we need to walk further along the Big Wave Bay beach?). This is not too bad, but the fastest hikers can do the 25km in just under 2 hours. Even if we train every day and every night now, we won’t be that good! For us, all we aim for is to finish the race. I am not a hiker at all, but your pictures are are gorgeous! Good for you to do all this hiking!